Close to the Sydney Harbor Bridge, The Sydney Opera House is a performing arts center. It was designed by Jorn Utzon, the Danish Architect. The opera house has an area of 4.4 acres and measures 600 ft in length and 394 ft in width at the widest point and the roof structures look like shells. 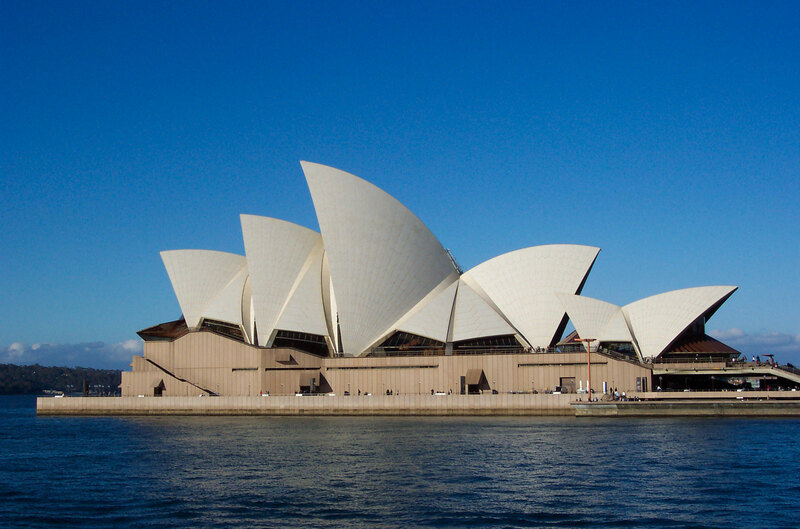 It houses the resident Opera Australia, The Australian Ballet, The Sydney Theater Company and The Sydney Symphony Orchestra and is recognized as a UNESCO world heritage site. There are six entertainment centers having a total capacity of 5738 persons in which the Concert Hall can accommodate 2679 persons.